This event will be open to twelve (12) 500Ecstasy & Mercedesshop Members total. You can sign up here or at 500Ecstasy, 2 weeks prior to the event an RSVP will be sent to members which have signed up with times and location of the event. Only those with printed RSVP will be able to attend as this is a limited space event. The RSVP will also serve as a coupon for your gift bag and lunch. This event will be in conjunction with MBCA SoCal Chapters. If you're an MBCA member you can also sign up on the MBCA forums, 16 openings are currently available through MBCA. We've locked in February 7th with Meguiars, RSVP's to go out in one week. I will need a reply from everyone who receives RSVP's, those that don't reply I assume can't make it. RSVP's will include coupons for attendance and you're free goodie bag. Looking forward to meeting many new fanatics! One last comment, make sure your cars are cleaned for this event, photos will be taken for the Meguiars Website. Last edited by placo1; 01-10-2004 at 11:12 AM. Official RSVP List - CHECK YOUR MAIL SOON!! RSVP's and directions have been sent. For those that have replied a spot will be reserved for you as will a goodie bag. See everyone in a couple of days!!! Please Note: Guests will not be allowed to join you on this event since classroom space will be limited, strictly cars/owners who have signed up can attend. Last edited by placo1; 02-06-2004 at 05:28 PM. And for the Rest of Us?? If you can add me that would be great. I went to the last one and wasn't planning on attending this one but I would like to here about these new products that have come out. I believe there are a few Meguiars Distributors out your way that have workshops like this. Not sure if they're free but it's worth investigating. Maybe try posting on www.autopia.com and find out if anyone else is aware of this. 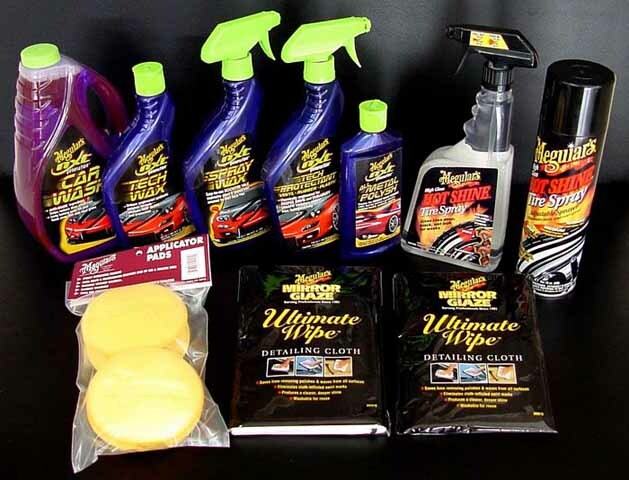 Meguiars also has www.showcargarage.com, if you post on their a Meguiars representative will respond. BTW who said there aren't any benefits to living on the left coast!! I don't know how I missed this post yesterday. If room is still available, please include me the list. Hi...please add me (s/n: krk230...car: 1993 190E 2.3) and my friend (s/n: C200K...car: 2003 C230K Sedan) to the list...thank you! I missed this post also. I just got an email from Tom Richards. To everyone who's signed up and on the primary list, check your emails as RSVP will be sent out this weekend. Remember to get your cars cleaned up for this event, photos will be taken! If you have any particular questions make a list so that Mike can address them. See everyone in two weeks. Hey...I jus got taken off the reserve list......I was the first one on the reserve list too....am I still eligible to go? This isn't the first time I lost a name, luckily I've cought the mistake in the past. Since you are first in line and I haven't been able to get an email address for SilvaC32 you can take that spot. Please send me your email address asap and I'll forward an RSVP.